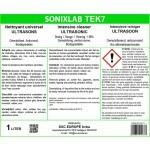 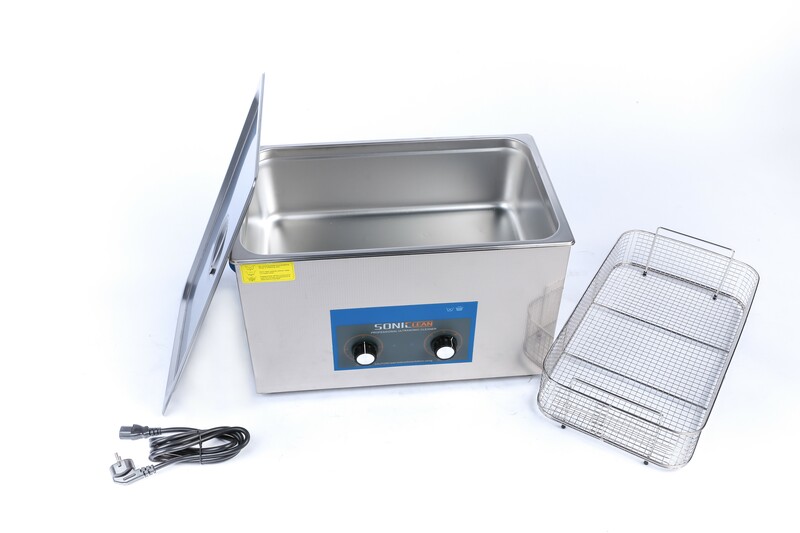 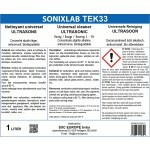 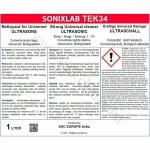 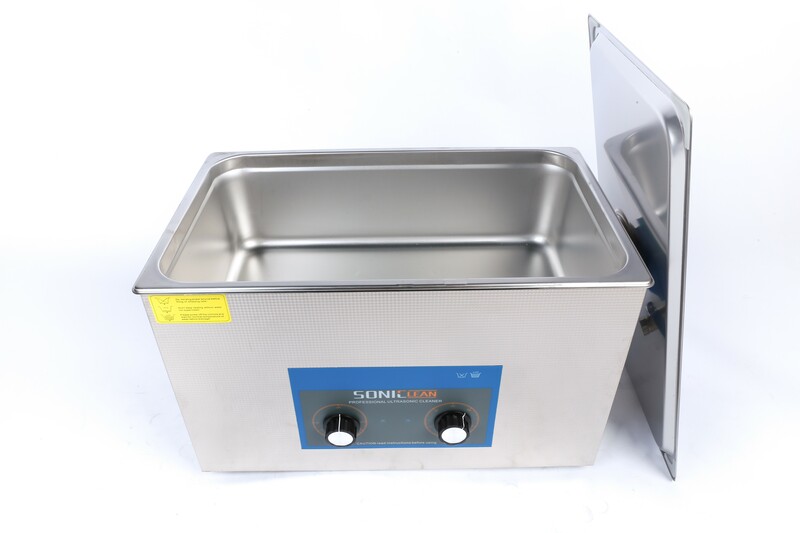 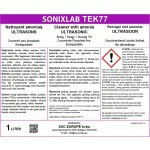 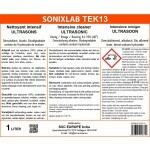 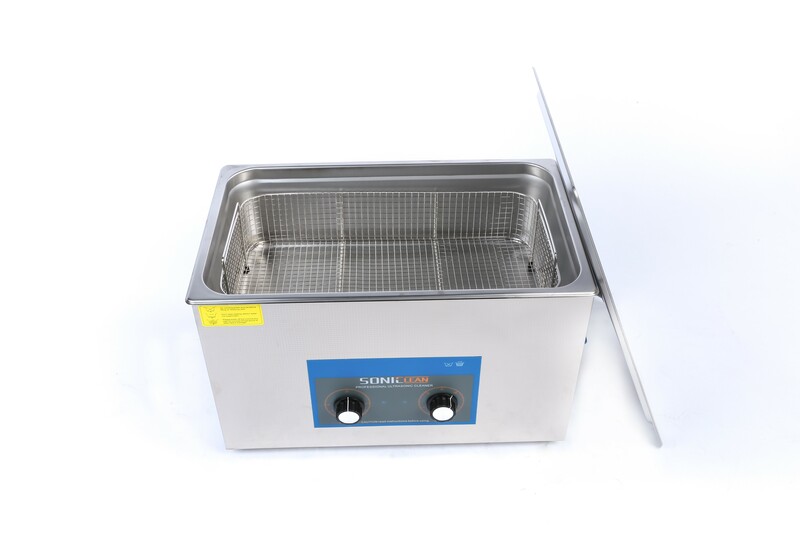 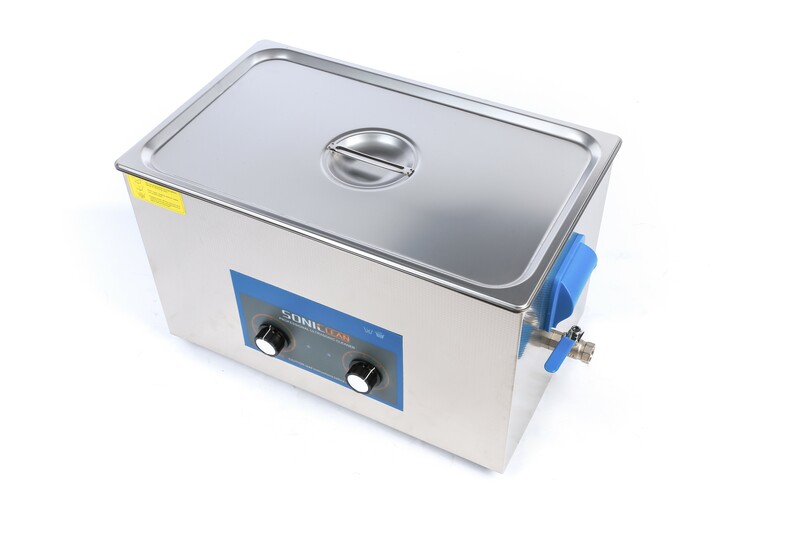 SC-30A-U12H8: 800W-UC720W 30L analog ultrasonic cleaner with heating and drain. 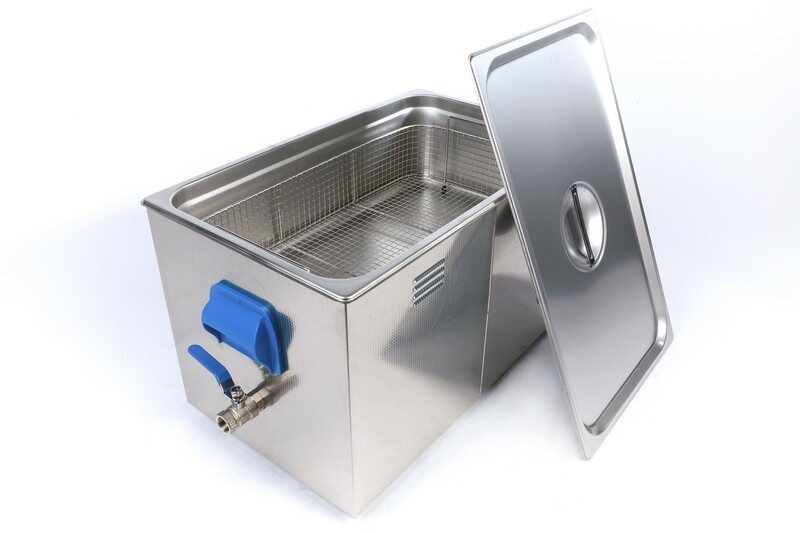 Full stainless steel tank and housing. 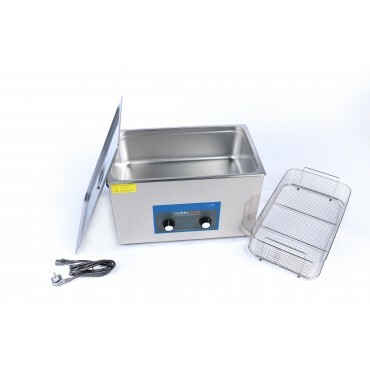 Kit includes UK power plug, stainless steel lid and basket.